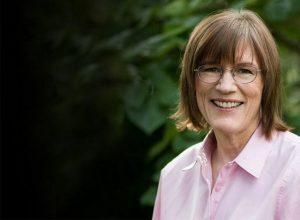 Join us for an exclusive lecture themed “Learning How to Learn” by Barbara Oakley, the author of New York Times best-selling science book A Mind for Numbers, as well as instructor of the world’s most popular massive open online course: UCSD-Coursera’s Learning How to Learn, with 1.6 million registered students. Oakley’s courses provide practical advice on tackling daunting subjects, beating procrastination, and the lessons engagingly blend neuroscience and common sense. This course gives you easy access to the invaluable learning techniques used by experts in art, music, literature, math, science, sports, and many other disciplines. We’ll learn about the how the brain uses two very different learning modes and how it encapsulates (“chunks”) information. We’ll also cover illusions of learning, memory techniques, dealing with procrastination, and best practices shown by research to be most effective in helping you master tough subjects. Using these approaches, no matter what your skill levels in topics you would like to master, you can change your thinking and change your life. If you’re already an expert, this peep under the mental hood will give you ideas for: turbocharging successful learning, including counter-intuitive test-taking tips and insights that will help you make the best use of your time on homework and problem sets. If you’re struggling, you’ll see a structured treasure trove of practical techniques that walk you through what you need to do to get on track. If you’ve ever wanted to become better at anything, this course will help serve as your guide.